The Kent County Prevention Coalition offers a variety of resources for youth and adults, and the community. Choose one of the categories below. By making teens more aware of the influences around them, Above the Influence better prepares them to face these influences, including the pressure to use drugs, and alcohol. The Above the Influence [ATI]-Kent County Youth Coalition is community of teens committed to thinking critically about personal choices and future ambitions, related to underage substance use/misuse, and the power community teens have individually and collectively to impact peers, family and community norms and the world by making a personal commitment to live Above the Influence. Kent County’s premier theater destination, Celebration Cinema believes that its’ theatres exist to create space where story happens! GVSU TRiO Upward Bound is committed to helping students build the academic skills, motivation and self-confidence necessary for success in a college setting. Students Against Destructive Decisions provides students with the best prevention tools possible to deal with the issues of underage drinking, other drug use, risky and impaired driving, and other destructive decisions. Arbor Circle‘s mission is to transform the lives of children, adults and families facing mental health, substance use and family concerns in a caring partnership with our clients and diverse community. 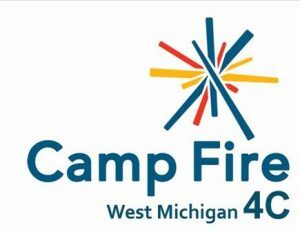 Camp Fire West Michigan 4C‘s purpose is to provide opportunities for young children and youth, and those who care for them, to realize their potential and become caring, self-directed individuals, responsible to themselves and others; to provide resources and support for continuous program quality improvement; and improve those conditions in society that affect children, youth and their families. D.A.Blodgett-St.John’s provides comprehensive services to children and families, including Big Brothers Big Sisters, foster care, adoption, and family support, as well as, residential treatment and emergency shelter care. Family Futures believes every child deserves a chance to thrive. It all starts by building strong families – and that’s what our services do. Family Outreach Center‘s mission is to lead the way in promoting healthy family living by reaching out to underserved populations and those who are low-income in our community. GRAAHI‘s mission is to promote health care parity in the Grand Rapids African American community through advocacy, education and research to achieve positive health outcomes. Grand Rapids Public Schools aims to ensure that all students are educated, self-directed and productive members of society! The Kent County Health Department provides information and services to citizens of Kent County in an effort to promote public health. The Kent County Sheriff’s Department provides an indication of the number of Kent County youth experiencing encounters with law enforcement for substance use-related offenses. Kent School Services Network brings health and human services into the school building to serve students and families. 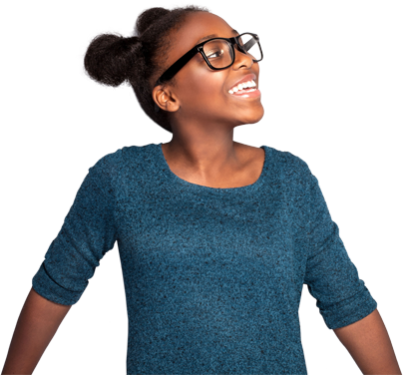 The Michigan Profile for Healthy Youth (MiPHY) is an online student health survey offered by the Michigan Departments of Education and Community Health to support local and regional needs assessment. The MiPHY provides student results on health risk behaviors including alcohol, tobacco, and other drug use. The National Survey on Drug Use and Health (NSDUH) offers comparisons to similar behaviors among youth on the national and state levels. network180 is inspiring hope, improving mental health, supporting self determined lives, and encouraging recovery – every day. The Partnership for a Drug-Free America offers science-based resources, lead community education programs, and create public awareness campaigns to help parents prevent, intervene in and find treatment for drug and alcohol use by their children. Pine Rest Christian Mental Health Services is called to express the healing ministry of Jesus Christ by providing behavioral health services with professional excellence, Christian integrity, and compassion. TalkSooner.org has links to a variety of parent tools and gives parents the chance to hear and share experiences, techniques, and advice with other local parents on how they can educate their children. Wedgwood Christian Services extends God’s love to youth and families through professional counseling and educational services.